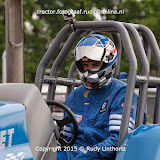 After a lot of during the last months, the new Eurol Bandit Light Mod is ready. 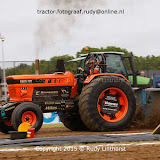 The Light Modified got a new Domex wedge frame with a new lighter ROP, a new lighter rear axle and a set of new Firestone Puller 2000 HP tyres. 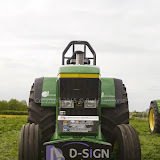 The drivers position on the new tractor is more forward and the center of gravety is lower. 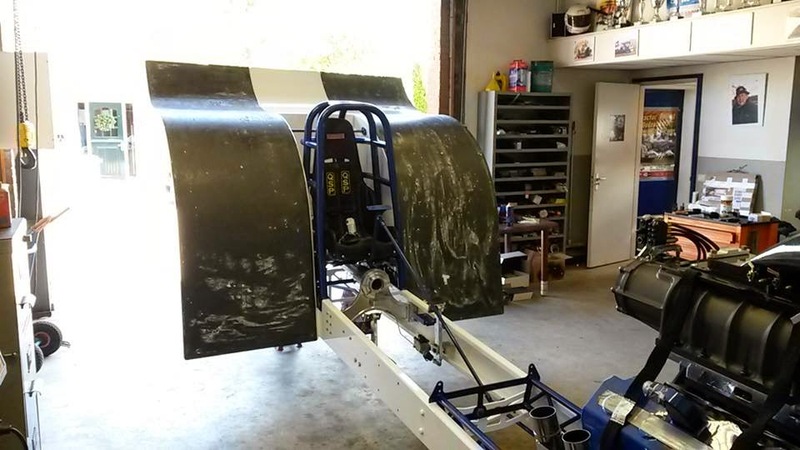 The Team hopes to get a better balance with those changes. 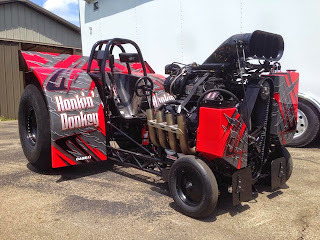 Also, the 2 KB V8 Hemi engines got some changes. 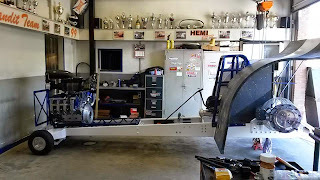 The engines got new DMPE 14-71 blower with new Carbon Fiber scoops and both engines got a dry sump lubrication. The new Carbon Fiber fenders are home made and lighter than the old ones. And last but not least, the tractor got a new paint job and a new design. 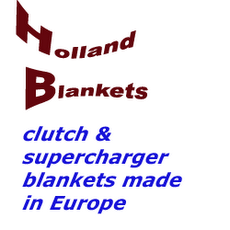 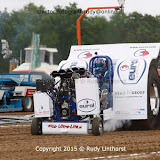 The Team from Putten, in the Netherlands will compete in the Dutch Grand National Championship and in the Euro Cup this year. 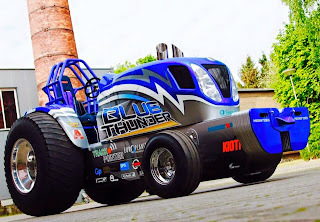 After a lot of work during the last months, the new Blue Thunder Light Super Stock tractor from Tonden, in the Netherlands is ready. 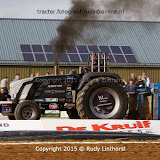 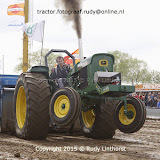 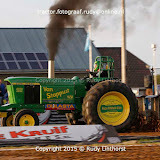 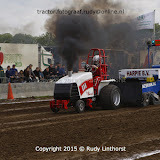 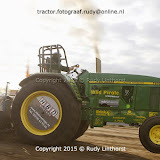 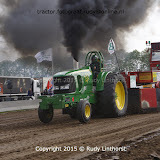 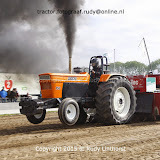 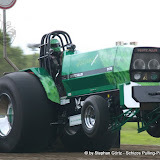 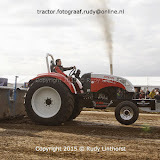 The new tractor got a 7.6l 6 cylinder Powerstar engine on alcohol, with billet pistons, a billet crankshaft, a special stock cylinderhead, a billet Holset HX82 turbocharger and a VSP alcohol injection system from Willem Veldhuizen. 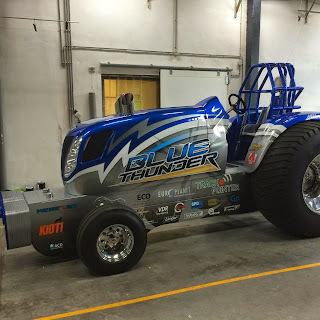 The Blue Thunder got a New Holland T7. 270 hood, a wedge frame, a homemade ROP and a set of new rims with Puller 2000 HP Pro Stock tyres. The frame was constructed by Berrie Boer (Screamin´ Bobcat Team). 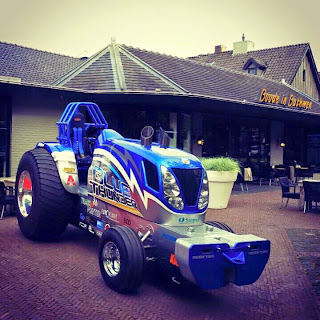 The New Holland LSS got a Rockwell rear end with a Humco differential and a Humco reverser. 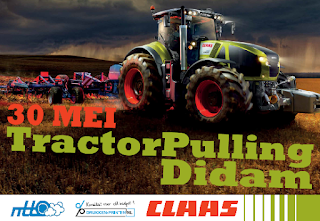 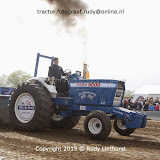 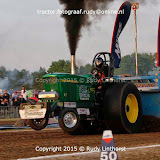 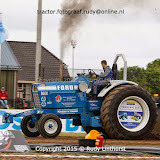 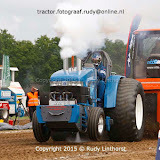 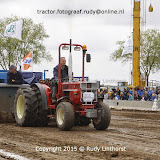 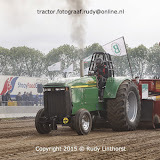 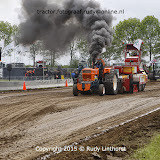 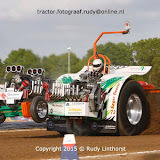 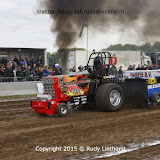 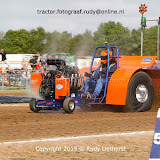 The Blue Thunder Pulling Team will compete with their new Light Super Stock tractor in the Dutch National Championship this year. After the NTPA Grand National title in 2014, the mini rod called ,,Honkin´ Donkey White´´ of Jason Hathaway from Washington, Pennsylvania in the USA got some changes during the last winter. 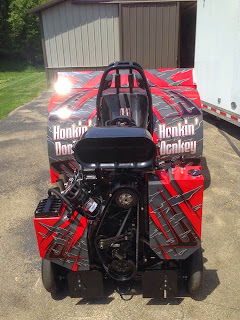 The Mini Rod got a new paint job, a new design and new black wheels. 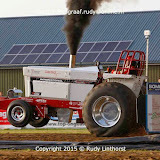 The engine of the tractor comes from Sassy Racing engines. 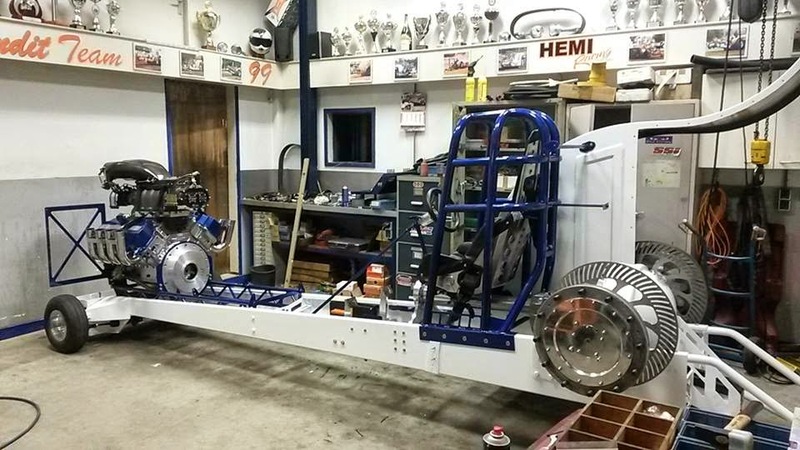 The engine is a V8 Hemi with a BAE engine block,Veney heads and Veney Manifold. Also, the BAE V8 Hemi engine got a new blower. 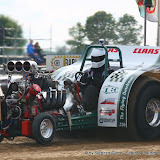 The Team switched to a Mike Janis Supercharger this year. 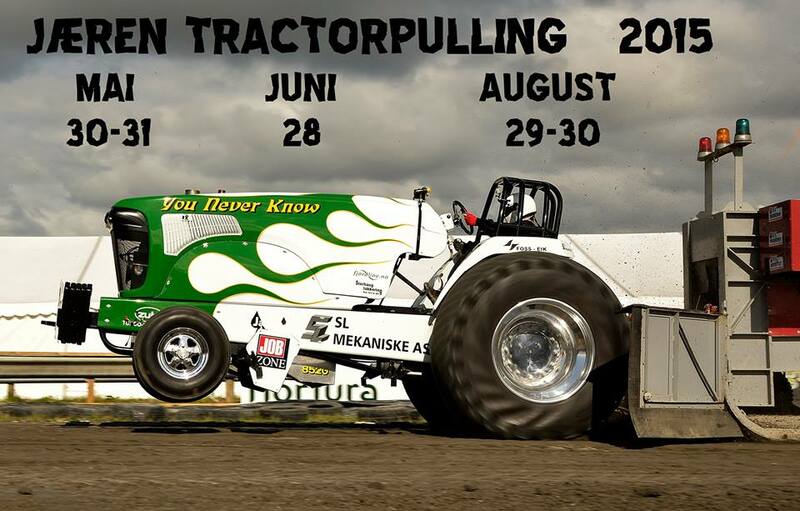 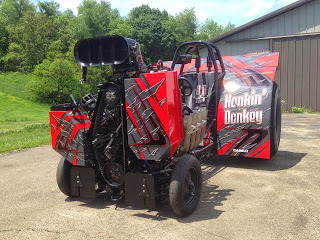 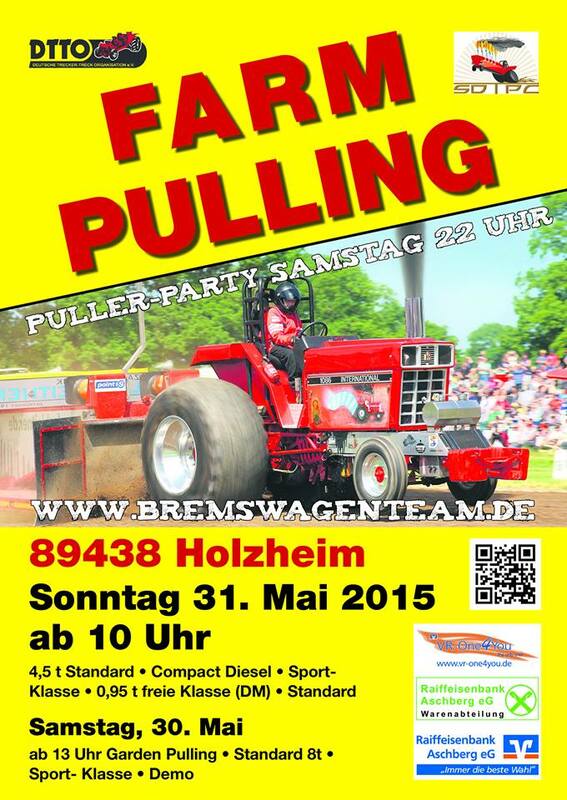 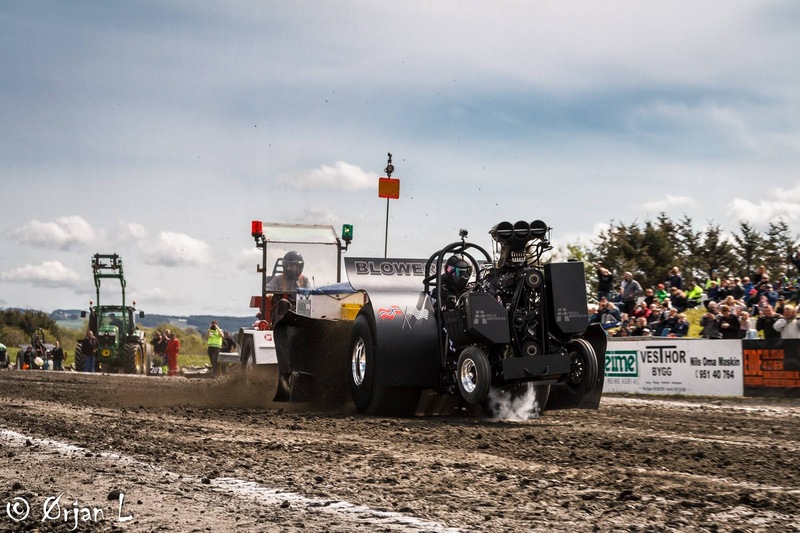 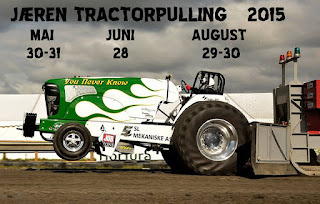 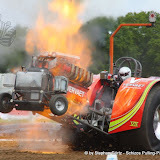 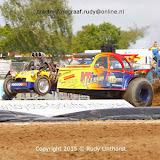 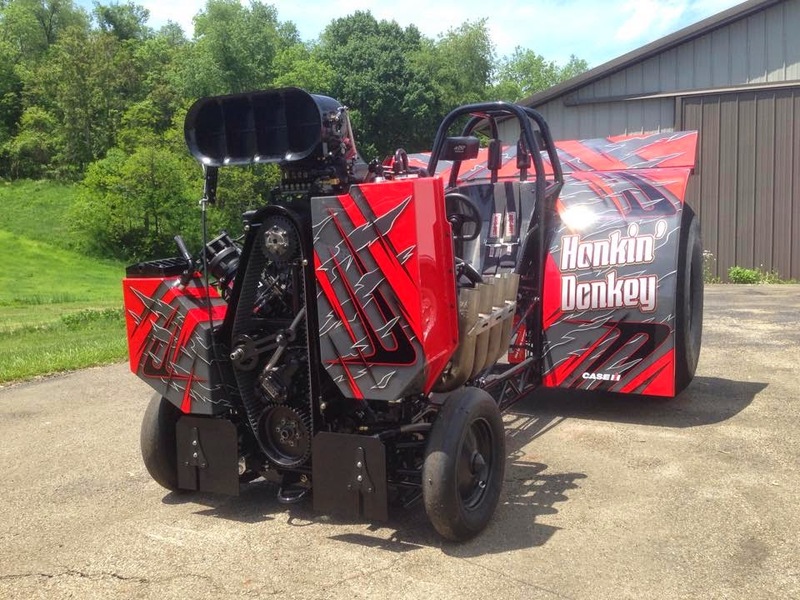 The Honkin´ Donkey Pulling Team will compete on the NTPA Grand National circuit this year. 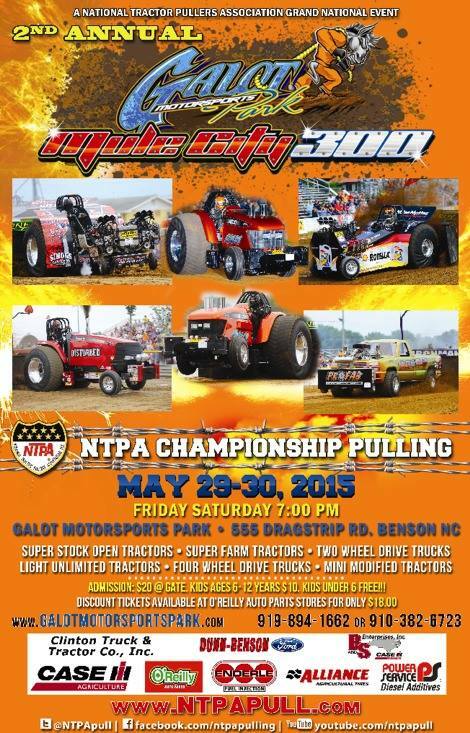 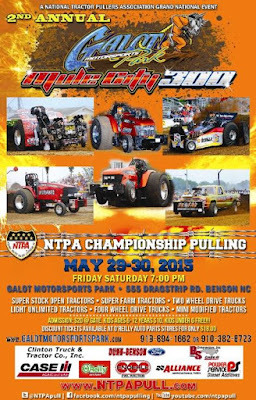 The first pull is planned for the 29th of May 2015 at the NTPA GN Mini Rod opener in Benson, North Carolina (USA) with those changes.